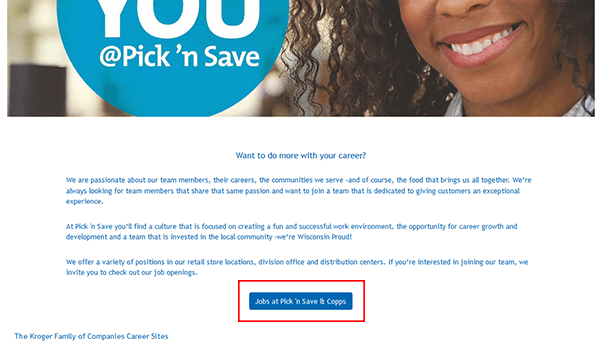 The Copps job application is available on the company’s main careers page. Follow the steps in the how-to guide posted in the below section to learn how to navigate the careers page, search for current openings, and submit an application. Numerous career types can be applied for including corporate, retail, distribution, and commissary/production positions. About the Company: Copps is an American chain of supermarkets that is owned/operated by Roundy’s. 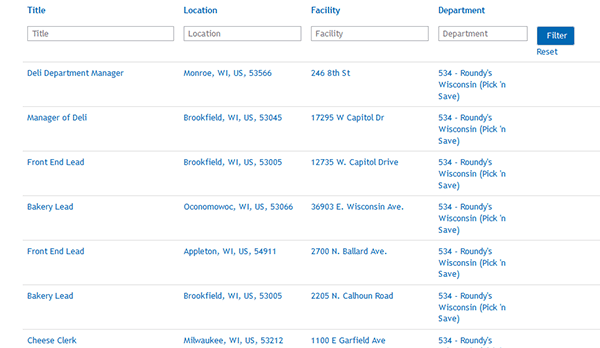 The company operates more than 90 locations throughout Wisconsin. Roundy’s is headquartered out of Milwaukee, Wisconsin and was founded in 1872. Pick ‘n Saves employs ~10,000 people. 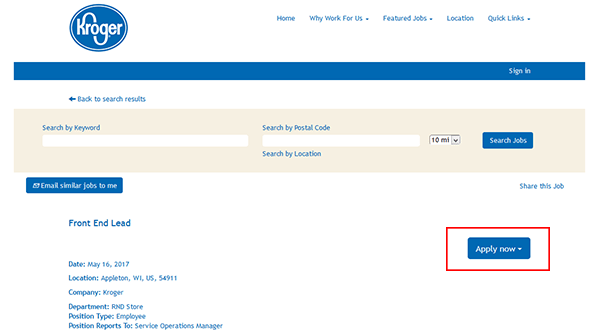 Step 2 – Scroll down the page and click the link of the career type that you’re interested in (i.e. 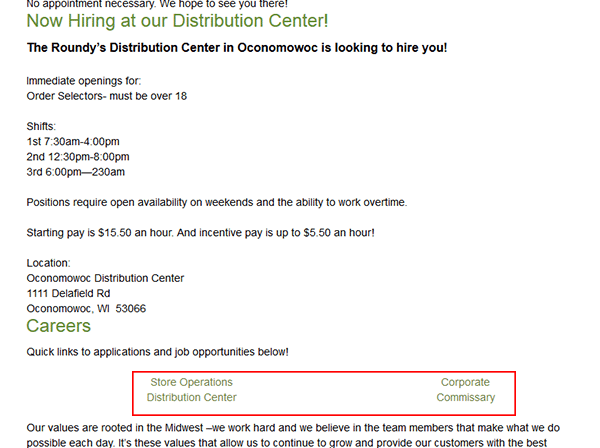 “store operations,” “corporate,” “distribution center,” “commissary”). Step 3 – Scroll down the page and then press the button as outlined in the below screenshot. Step 5 – Press the title link of the job that you want to start the online application process for. Step 7 – Click the button as shown in the below image, enter your email address, and then click the “Start” button. Step 8 – Create your profile and then click the “Next” button. Step 9 – Select your country from the drop-down list and then read/accept the data privacy statement. Optional – what is your educational experience? Optional – what certifications or licenses do you have? Step 11 – After all of the subsections have been completed click the “Submit” button near the bottom of the page.